A few weeks after the last of the September shows, Milan becomes the best version of itself in a mix of summer-like days and downright gloom that offers a chance to test out your forthcoming winter looks. Spring/Summer 2019 echoed a mood felt in this great industrial city as well as cities around the world, a rejection of narcissism for more of an organic connection to the physical world. And to be in Milan, its best to be physically located at Bulgari Hotel Milan with its manicured garden stocked with quaff urbanites perfectly captured in a silhouette of topiaries and olive trees. If that's too high society, at least this season, opt for The Yard or new Fifty House, a residential townhouse hotel that’s a 15-minute walk from Duomo and Galleria Vittorio Emanuele II. Before hitting 10 Como Corso or a pass by Gio Ponti’s impeccable Pirelli Tower, a day must be spent at one - just one - of Milan’s incredible museums. The Last Supper is always a worthy binge, with its advance reservation and as-touristy-as-it-gets photo op that lasts 20-minutes. Since 2015, Fondazione Prada has been the other must-see museum within a former gin distillery just south of city center. In addition to its contemporary art collection and rotating exhibits, the centerpiece of the gallery is a four-story building covered with gold leaf home to artworks by Louise Bourgeois. 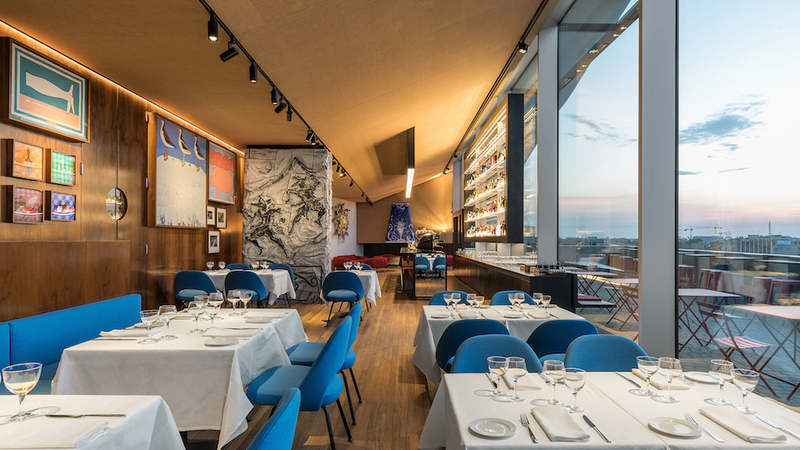 Plan a late visit and coordinate it with a visit to the Wes Anderson-designed Bar Luce or Torre (pictured) restaurant located on the sixth and seventh floors of the new Rem Koolhaas-designed tower with views that will convert even a Milan-skeptic. By day we love to shop stylish home stores like Il Valore Aggiunto, Rossana Orlandi or Flair Milano - a boutique by former fashion designer Gian Marco Venturi. A stop at the Prada or Gucci flagships, too, are a must before finding sanctuary in one of the city’s acclaimed pizza eateries. If counting carbs, Berbere Pizza serves up a proprietary crust of living yeast that's fully digestible and topped with artesian ingredients like Salina capers. Dry Milano does pizza with a hipster mixology vibe that open until 2am. By afternoon, garden cafes likePotafiori perk with fashionable sippers enjoying cakes and short blacks. 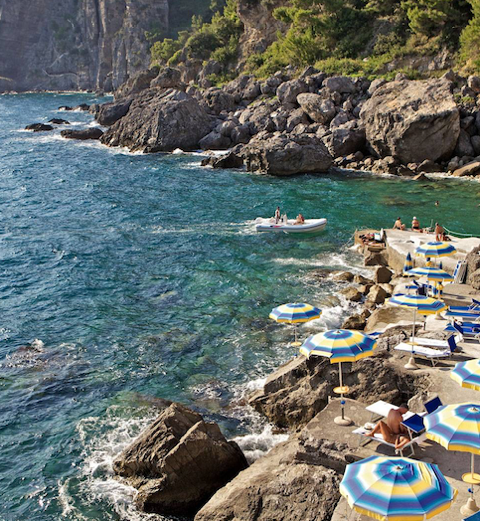 By dinner, we always struggle between the fine scene and Milanese cuisine of Carlo e Camilla or Antica Trattoria della Pesa or the seafood of il Giardino dei Segreti or Langosteria that are all as good as any you’ll find by the sea. And as for the nightlife, Armani Prive and Just Cavalli Milano to party like a true fashionista. "I swore to never fly via Naples again"